Introducing the MOBILE version of CWACAthletics.com! With the new WPA GameDay, you can "TAKE THE GAME TO GO!" 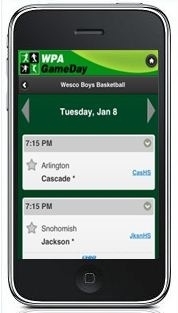 Version 1.0 of WPA GameDay is now accessible on ALL mobile devices. Congratulations to the following CWAC teams placing at the WIAA State Championships!! !